Virginia St. George-of the dragon-slaying St. George dynasty-has the brains and bloodline that define her family's legacy, but she's never been good at following in their footsteps. She doesn't have the powerful magic every St. George is born with or the sword-wielding skills of the paladins-like her sister, Celeste-who bravely combat their fire-breathing foes. Even worse, a past tragedy has left Virginia with a crippling fear of dragons...and facing arranged marriage to an aging nobleman eager for heirs. 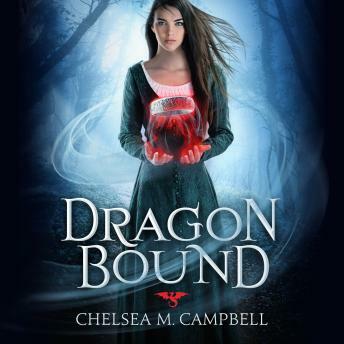 But when Celeste is kidnapped by an infamous dragon clan, Virginia must make a daring rescue and defy the fear that has tormented her for years. Virginia can't do it alone, and her only ally is the notorious criminal she's freed from her family's dungeon. Who better to guide her into the dragons' lair than one of their own? To save her flesh and blood, Virginia will risk her life-even if her first quest proves her final undoing.